The update on the flooding situation is here. Watch for a new email to all people of Aller Parish, with latest news, including the proposed schedule for opening Monks Leaze Clyse. 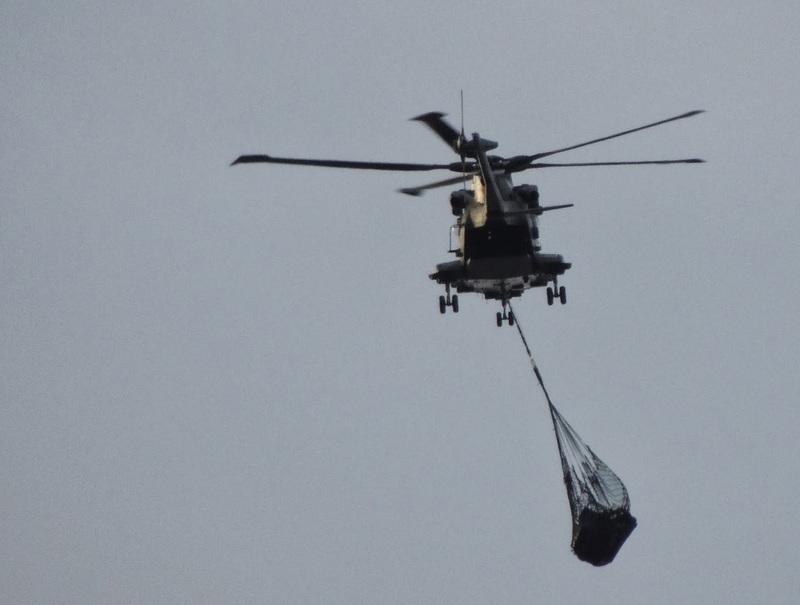 This helicopter carrying a very heavy load, swinging wildly, passed over this afternoon. Not sure where it was going.